Tonight´s band features a group of musicians who are all regarded as some of the most talented, versatile and in demand performers currently residing in Germany. Expect a wide ranging repertoire from Miles Davis to Jimi Hendrix with a focus on groove and powerful high level interactions and improvisations delivered by some of the highest caliber musicians the Music scene has to offer. Ron Spielman is a one of a kind Artist. 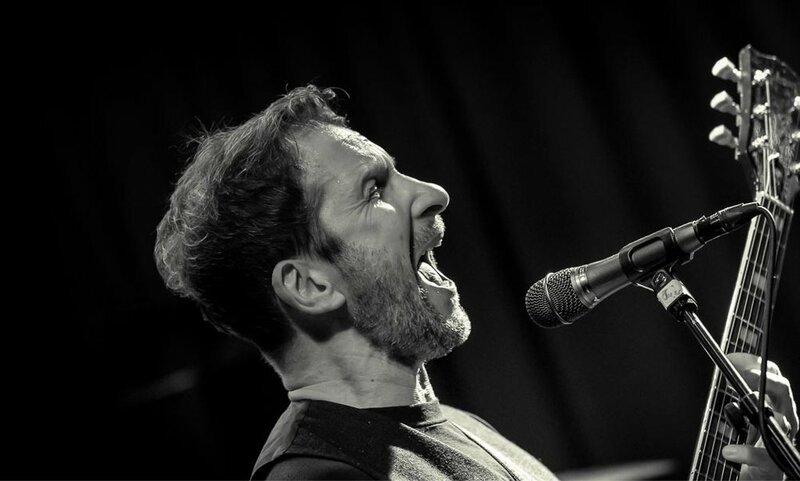 Dedicated to perfection with an incredible attention to detail, Spielman is one of those rare musicians that manages to mesmerise audiences with his electrifying guitar sound and breath taking vocals. He has had success with his own groups touring extensively across the world but has also had the chance to work with the likes of: The Little River Band, the late Steve Marriott, Dave Stewart, The Chick Corea Electric Band, Bob Geldof, The Climax Blues Band, Johnny Guitar Watson and many others. Geoffroy De Masure: One of Europe´s most highly established trombone legends, Geoffrey´s musicality has lead him to cross culture explorations across the globe fusing jazz with North African, Indian, Middle Eastern and Funk rhythms. His mastery of polyrhythms and soulful improvisations have lead him to work with the likes of Johnny Griffin,Larry Schneider, Toots Thielemans Joe Lovano, Charlie Haden, Mark Turner, Lee Konitz, Greg Osby, Albert Mangelsdorff, Fred Hersch and Steve Coleman. Geoffroy currently holds a professorship at the world renowned Jazz Instute Berlin. Ben Kraef is a German-Montenegrin saxophonist and composer based in Berlin. Ben graduated from the University of Music “Hanns Eisler", Berlin. In 2007 he relocated to New York City on a grant from the German Academic Exchange Service (DAAD), and obtained a Master of Arts from The City College of New York in 2009. In the past years Ben has won international acclaim in form of several prizes and awards, among these most notably the Biberacher Jazzpreis (2006), the “Concours International de Jazz de Fribourg" (2007), the Yamaha Saxophone Contest (2007), and the Billie Stoller Scholarship to an outstanding scholar and musician from The City College of New York (2008). Thomas Steiger: One of the most in demand session musicians in the German music scene Steiger has a unique laid back fat and tight bass sound that has made him a first call bassist for some of the most renowned artists in the national and international music scene. He has worked with Sarah Connor, Jimmy Somerville, Torsten Goods, Gregory Porter, Klaus Doldinger, Chris Barber, Nils Landgren, Kim Sanders, Pete York, Greg Cohen, and many more. Julian Külpmann: A young genius on the drums Julian has already received prestigious awards such as the Thelonious Monk Jazz Competition and the WDR jazz preis. He has had the opportunity work with the likes of Udo Lindenberg and Nils Wolgram and is currently fully endorsed by Yamaha Drums.